See flyer and full details. From climate change over shale gas to the race for the Arctic, energy makes headlines in international politics almost daily. 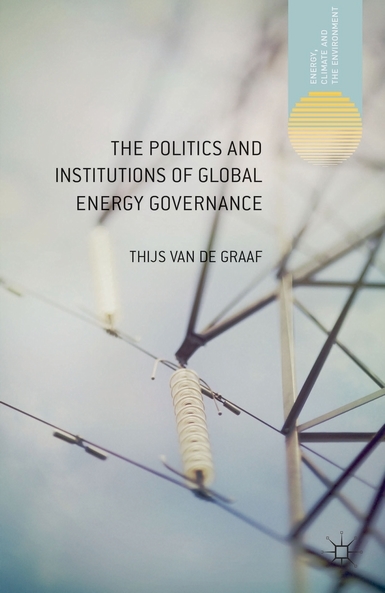 Thijs Van de Graaf argues that energy is in dire need of global governance. He traces the history of international energy cooperation from the notorious ‘Seven Sisters’ oil-companies cartel to the recent creation of the International Renewable Energy Agency (IRENA). He analyses how international institutions have been created for securing oil rents, coordinating consumer-countries’ energy security policies, promoting producer-consumer dialogue, managing regional gas markets, and dealing with energy-related environmental externalities. Drawing on the emerging regime complexity literature, he constructs a novel analytical framework to explain the fragmented architecture of global energy governance, and studies prospects for institutional reform at the International Energy Agency (IEA) and the G8/G20. 7. The G8 and G20 as energy steering committees? Robert O. Keohane, Professor of Public and International Affairs, Woodrow Wilson School of Public and International Affairs, Princeton University. Frank Biermann, professor and head, Department of Environmental Policy Analysis, VU University Amsterdam, and chair, Earth System Governance Project. Benjamin K. Sovacool, Professor of Social Sciences at the School of Business and Social Sciences at Aarhus University in Denmark, and Associate Professor of Law at Vermont Law School.